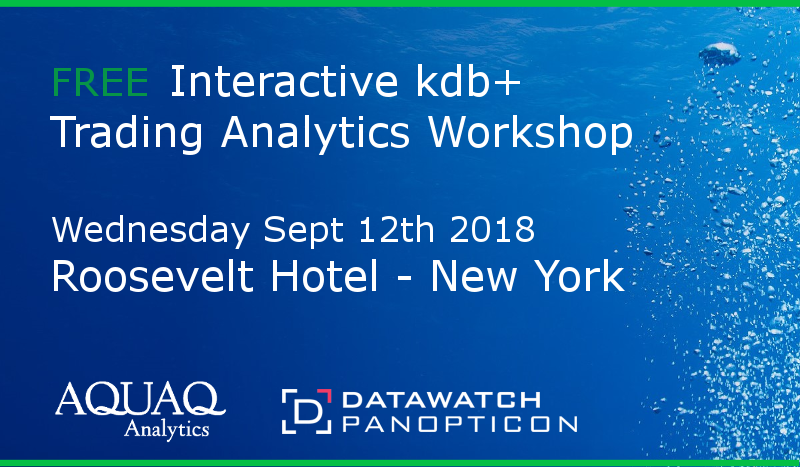 Following the success of our joint event in London this summer with our partners Datawatch Panopticon we have decided to run another FREE interactive workshop in New York this September. This workshop is designed for people who want to make full use of their kdb+ data environments in trading analytics applications. It’s tailored for traders, quants, IT people, and compliance people who wish to learn how to get the most out of kdb+ and about the most efficient ways to visually analyze trading data down to the nanosecond level. 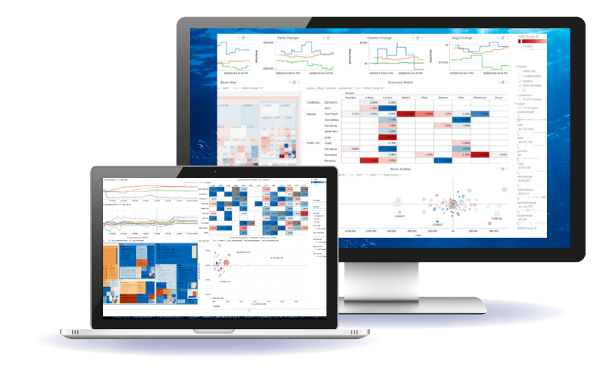 Experts from AquaQ Analytics and Panopticon will provide an introduction to visual analysis of trading activity and execution performance using historic, intra-day, and real-time streaming data managed by kdb+. By the end of the day, you will understand how to configure and connect to kdb+ streams and databases and build your own unique Trading Analytics user interfaces focused on best execution, market activity, and client flow.